Well, maybe not Lloyd spesifically. Maybe it needs someone who is related by blood to the one that the masks will ressurect. Which would explain why Baby Wu could be the key, rather than just the map itself. What a frustrating episode, with its multitude of scenarios where the Ninja could've easily used their powers or training to "save the day." I especially roflcoptered at when Lloyd, with such a professional attitude, managed to jump on the bounty at the end only to be instantly captured in the seconds following. All of this alongside how the writers continually persist to just swipe some of the ninja's powers under the rug without a word also doesn't help for the show. I find it fine when the scenario necessary for these removed powers isn't integral or major to moving the plot (such as when Lloyd saves Harumi), but this time around I just felt irritated on, again, how there was no explanation on why they couldn't use them. Oh, by the way, Harumi is pretty much an edgy teenager and the ninja are now the equivalent of stormtroopers. However, with all of this, I want to say that I did very much enjoy two things from the episode. I really enjoyed, what felt like Shakespeare inspired, conversation that Lloyd had with Harumi right as he found out her true motives with all the dramatic turns and gestures that went throughout that conversation. The other scene was the one where the ninja and the biker gang was at a stand-off, where it was a comedic chain of who is threatening the bigger prey. I'm honestly going to have to disagree with your first remark. This was a phenomenal episode that truly shows the writers are being creative with the way they link new plots and characters to previous established events. I definitely understand your frustration, something that I too experienced in the early episodes, but honestly, I've forgiven it. You speak of a "multitude of scenarios", but I only recall the one you mentioned with Lloyd (which I completely agree with). What other moments were there? As you also mention, the Lloyd and Harumi conversation was amazing, and was really unique and memorable. This is definitely a top 10 episode for sure. I see what you did there with the boat. Although, no explanation for the use of The LEGO Ninjago Movie incarnation of Garmadon on the box art. Heeee’s back baby! 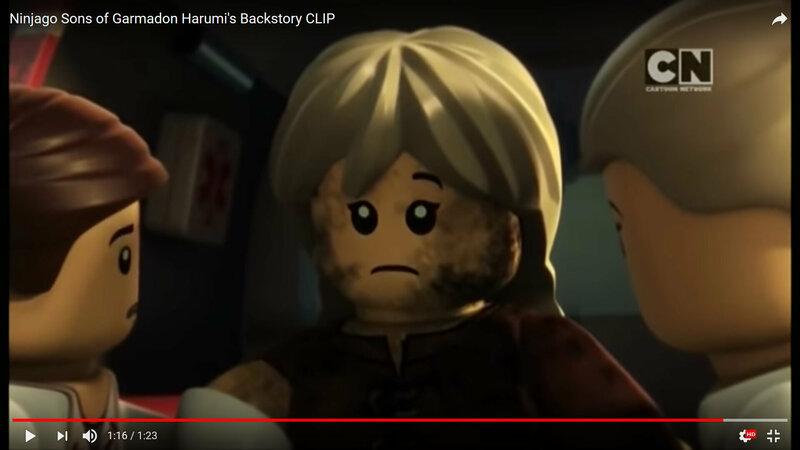 I’ve aways loved Garmadon- I hope he’s still redeemable. Well, we oni have to wait a week to find out. That pun was so slick I had to read it twice to notice it. Lets hope its a quick week. Interesting... of all the hairpieces to choose from, they go with that one. Seems like the timeline took a bigger hit than we thought. I really didn't like episode 83; there are so many logical issues with it. -Harumi broadcasts the duel everywhere how? 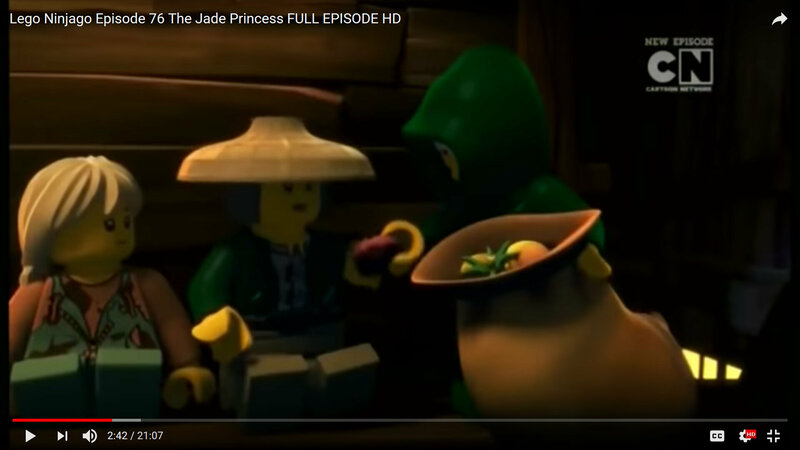 -to Expand on this, Jay complains and panics at length about how tough it will be to face the Sons of Garmadon now that they're in their fortified encampment. So maybe wait them out? They'll get hungry at some point. Zane also attributes much of their previous victory over the SoG to the assistance of the entire police force. So why can't they use them this time? Did Garmadon wipe them out at the police station or something? Yeah, I agree with a lot of this. But honestly, for what it was, it was a pretty decent episode. I would probably rank it higher than the last episode, just because it had a better climax. The Season Finale was the GREATEST episode so far! It had so many action packed scenes, many call-backs from Season 1 and 2 and the ending was the BEST! Now we know that how the Ninja got to the Oni and the Dragon Realm and they outfit matches the ones from the season 9 sets. Lloyd's eye color is connected to his powers. I was hopong to see the Ultra Dragon or the Elemental Blades but It was a great episode even without them! I believe Lloyd knows that the other Ninja have survived. I wonder when he will figure out that they are in the Oni and the Dragon realm because season 9 set pictures suggest that he and Nya will join them.